The unthinkable happened on Saturday night at the Izod Center in East Rutherford, N.J., as the best heavyweight in the world Fedor Emelianko lost to Antonio Silva by doctor stoppage. ­Fedor Emelianenko had been considered the best heavyweight fighter for the better part of a decade, an aura of invincibility surrounding him. Those days might be over after his second straight defeat, with both losses coming from the hands of Brazilians. The quarterfinal bout started well for the Strikeforce heavyweight Grand Prix favorite. Fedor got the better of the exchanges on the judges score cards during the first round. The second round, however, belonged entirely to the Brazilian jiujitsu star. He took Fedor down immediately, passed to a superior position on top and unloaded a barrage of hard strikes that nearly stopped the action. He was able to keep Fedor controlled either in back mount or mount and came close to securing a head and arm triangle. Fedor was able to escape late and even attempted a submission of his own towards the end of the wild second round, but the damage had been done. 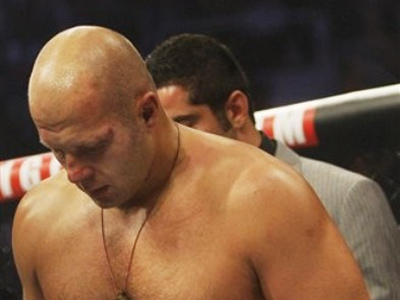 Going into the third round Emelianenko's right eye was swollen shut from numerous blows. The doctor decided to stop the contest to make Antonio Silva the winner by way of TKO. But the biggest news of the evening came a few moments later. The Last Emperor announced his retirement immediately after the fight, saying "maybe it's time to leave." 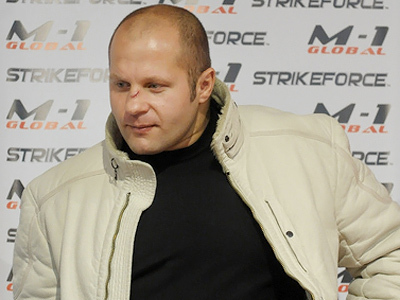 Warmly welcomed by the sell-out crowd, Fedor thanked God and everyone for his beautiful "sporting life". Silva will face the winner of Fabricio Werdum vs. Alistair Overeem in the semifinal. In the co-main event, Russia’s Sergey Kharitonov stunned the by knocking out Andrey Arlovski in brutally efficient fashion. It was the fourth straight loss for the former UFC champion.